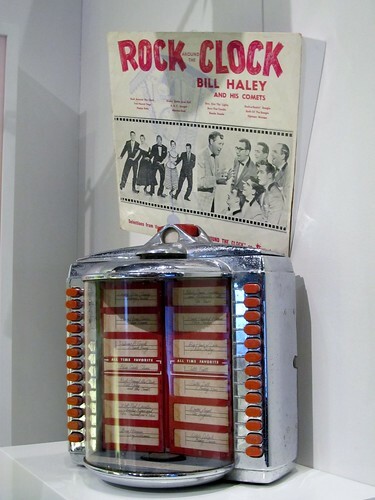 ‘Rock Around the Clock’ is a rock and roll song which has been called the The National Anthem of Rock ‘n’ Roll. It was recorded in New York in 1954 by Bill Haley & His Comets. The song became a No 1 hit and recordings sold in their millions around the world. Bill Haley was a singer, musician and songwriter who was native of the United States. He is considered by many to be the father of ‘Rock and Roll’. Haley’s was a member of a musical family and he was influenced by country music. His musical genres included: Rock and roll, country and rockabilly. ‘Rock Around the Clock’ was written in 1952 by songwriter and lyricist Max C. Freedman and songwriter and music publisher James E. Myers. It was recorded as the B-side of the song ‘Thirteen Women’. It became a hit in 1955 following its use in the film ‘Blackboard Jungle’. The song was No 1 hit and became wildly popular with teenagers around the world. It has featured in several films and has been recorded in over 30 languages. 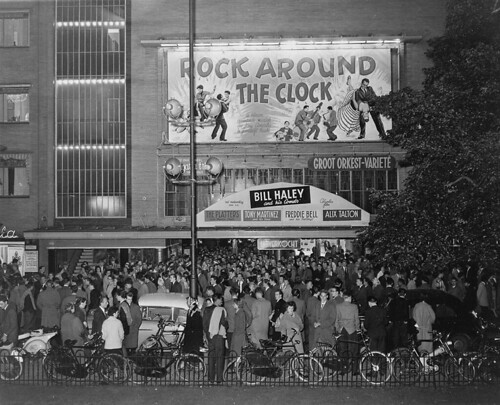 ‘Rock Around the Clock’, a song which has been called the The National Anthem of Rock ‘n’ Roll, was recorded by Bill Hayley & His Comets in the year 1954 On This Day.